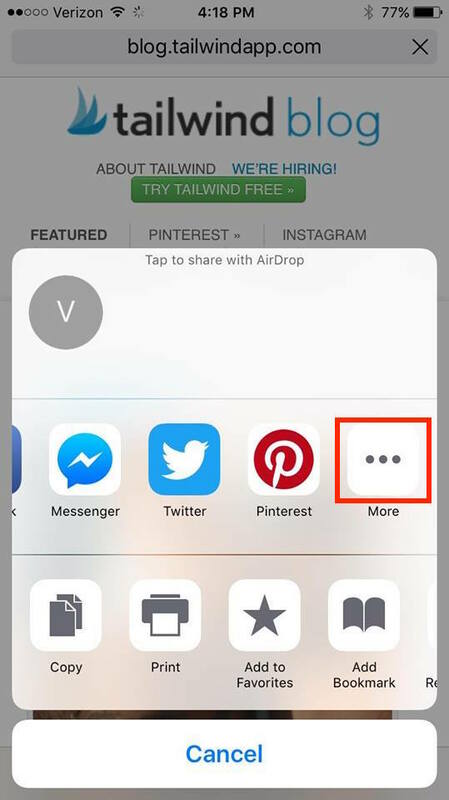 Scheduling posts from the Safari browser on your Apple Device is a breeze with the help of Tailwind's mobile app. This gives you the ability to schedule content from just about anywhere on the web! 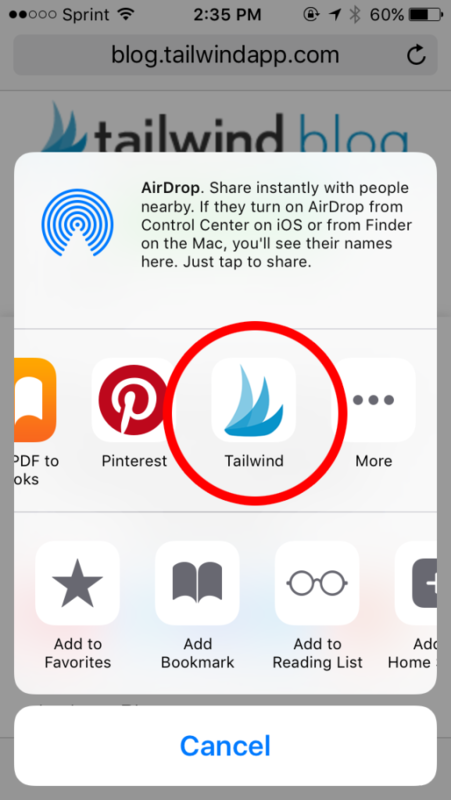 First you need to have the Tailwind app easily accessible on your iPhone or iPad. 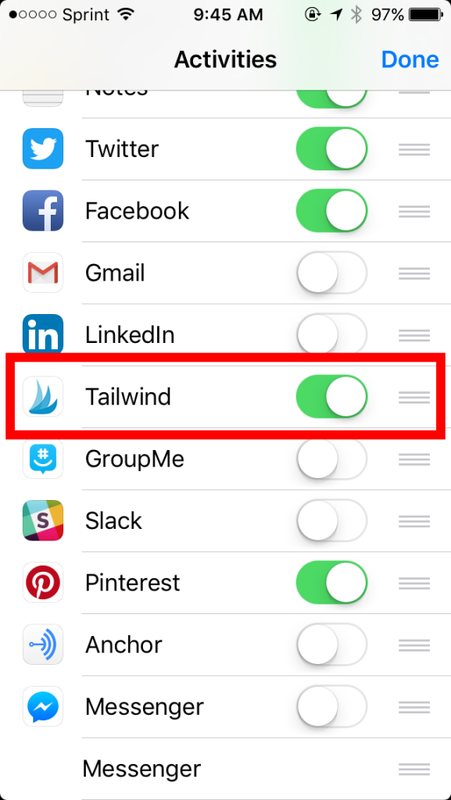 Here is how to find the Tailwind app once installing it on your devices. 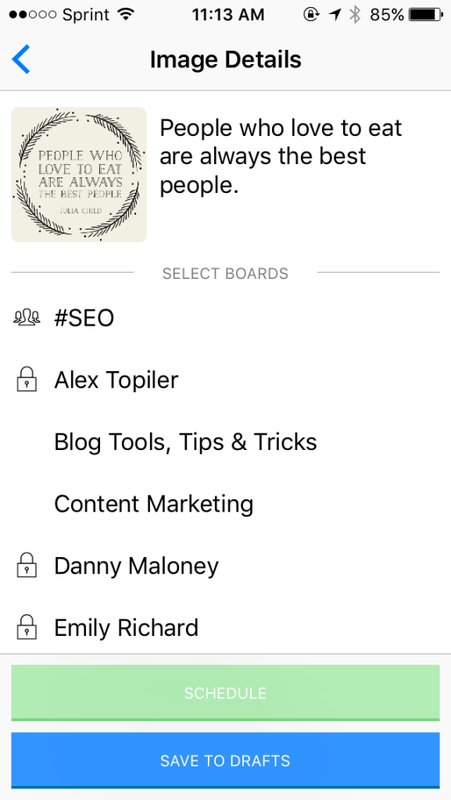 Find a link from Twitter, Facebook, your favorite newsletter, or another great article on the web and tap the box with an arrow at the bottom of the screen to share the content. 3. This will bring up different apps to share through. If this is your first time, more than likely you won't see the Tailwind app on the first row. Scroll over and tap "more". 4. After that, you will need to turn on Tailwind. If the slider next to Tailwind isn’t green, tap it to toggle it on. 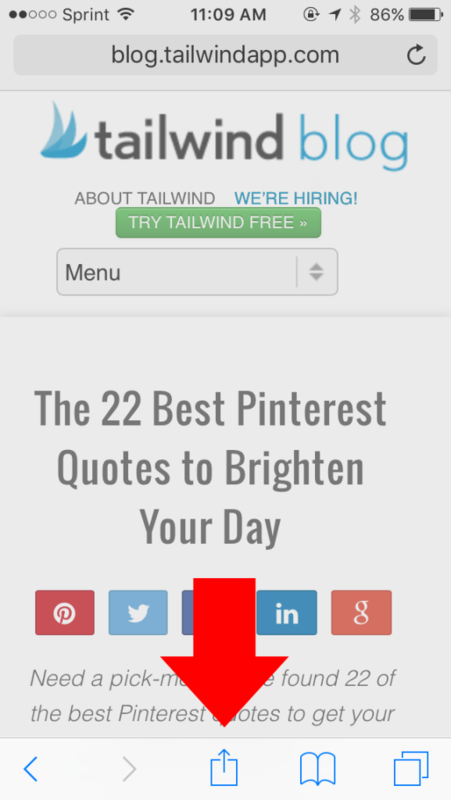 You’ll also want to drag Tailwind up to the top to save time scheduling posts later. Helpful Tip: Once Tailwind is turned on as one of your apps, you will always be able to find it on the “More Apps” list when you want to schedule content! 5. Once you tap the Tailwind button from your apps, you will see thumbnails of all the photos on that webpage. Choose the most compelling and interesting photo(s) to use for Pinterest or Instagram. And, yes, you can select more than one! 6. 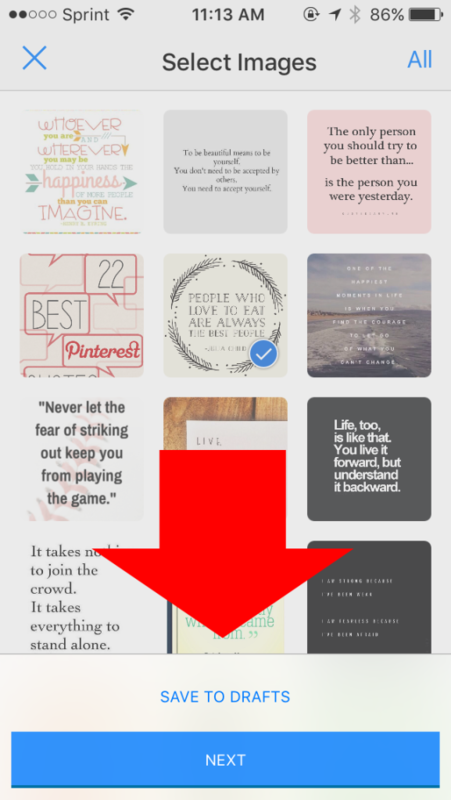 After selecting your photo(s), either tap “Save to Drafts” or tap “Next” to start scheduling. 7. From here you are able to edit the description and select as many boards as you would like to schedule to and tap "Schedule". You also have the options to "Save to Drafts" to schedule at a later time.